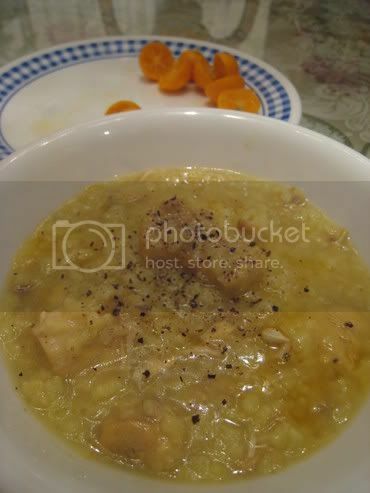 My apologies to Desie of Maybahay for missing her delicious looking Arroz a la Valenciana. 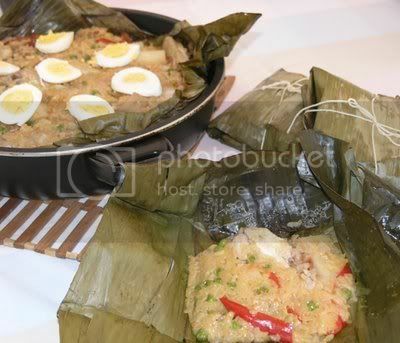 This banana wrapped one-pot dish is another must try to join the other entries. 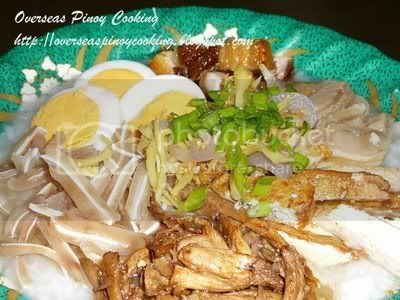 Binagoongan Rice from the Cook Mobile submitted this mouth watering entry early on, which utilizes left over binagoongan and turns it into something even more delectable. Rice does have that effect on most things. 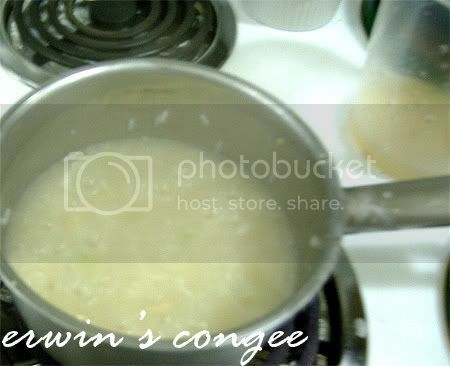 Iska hosts Erwin Ines who shares his memories of and recipe for congee. Reflecting on the past year, Erwin reminds us “no matter what, the world will tell us that it’s time to simplify things, as simple as cooking Congee“. 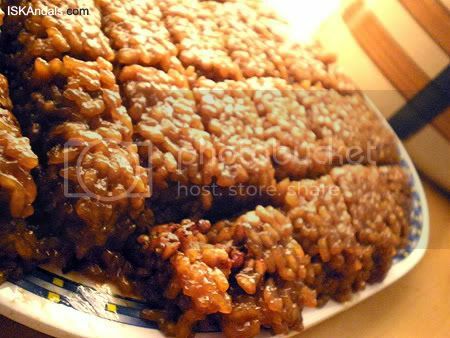 For her own entry, Iska offers up two delectable rice dishes, Egg Fried Rice which pairs up nicely with any breakfast meat you could think of and her aunt Glo’s Biko. 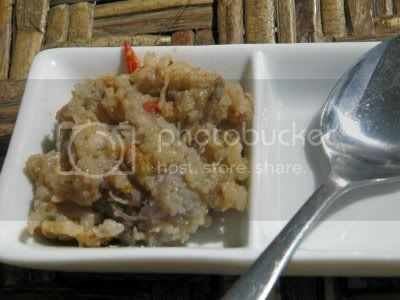 Kai at Bucaio offers three delicacies and a treasure trove of information about each that every Pinoy foodie should know. 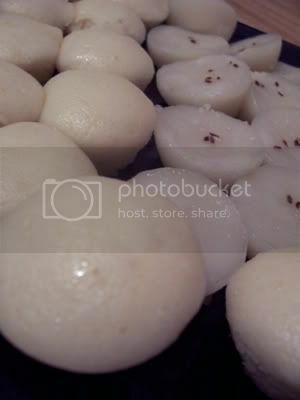 I certainly learned a lot about these food items that I’ve always eaten but didn’t know the background of. 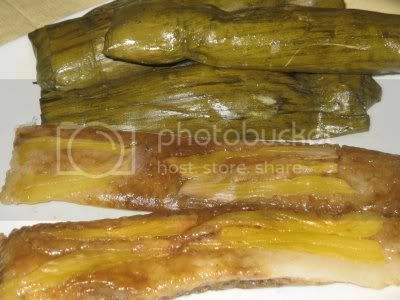 From the Bucaio, check out the Pinipig, Lanka Suman and Intemtem and Buro. Marvin at Burnt Lumpia describes with great humor his family’s traditions and his mom’s cooking of this Pinoy standard, Arroz Caldo. He has step-by-step photographs on how to cook this dish including a commentary on how he didn’t know that saffron is used for this dish. 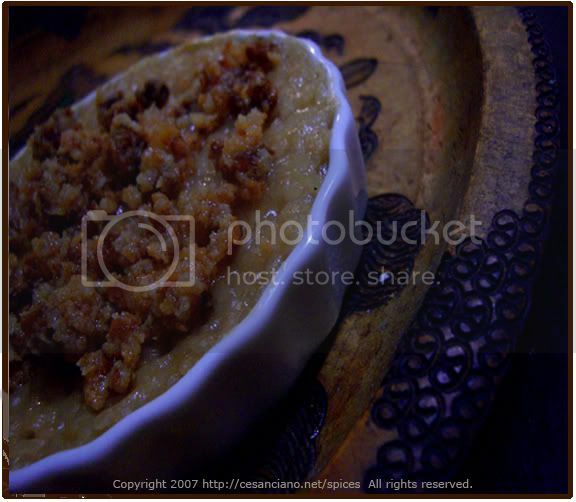 Ces at SpiCes wishes a BIKO-full New Year to all with her rendition of another traditional Filipino dessert made from Rice, which she recently got a tutorial on from her mom’s recent visit. 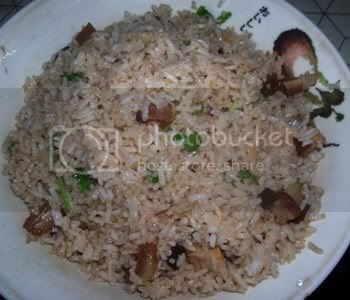 Gay, the Scientist in the Kitchen offers up a Thai inspired fried rice that is distinctly Pinoy. 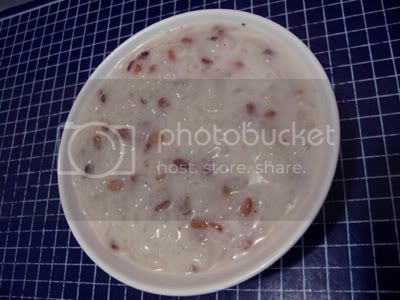 Ut-man of Overseas Pinoy Cooking offers another version of the congee, Special Lugaw, Special Congee, which proves how versatile this rice soup is; you can make it as simple or as fancy as you’d like it to be. 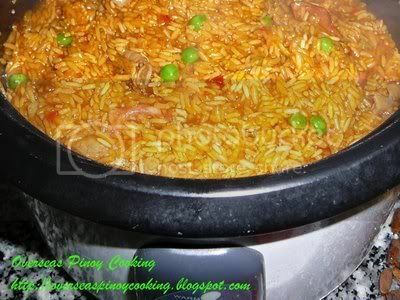 He also offers Pinoy Seafood Rice Cooker Paella Valenciana which shows an innovative way of fixing up paella. 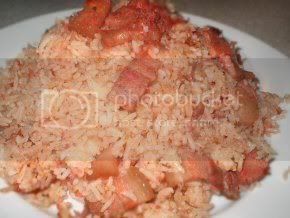 Mike Mina of Lafang offers up another great one-pot meal with rice, the Pinoy version of Shrimp and Sausage Jambalaya. 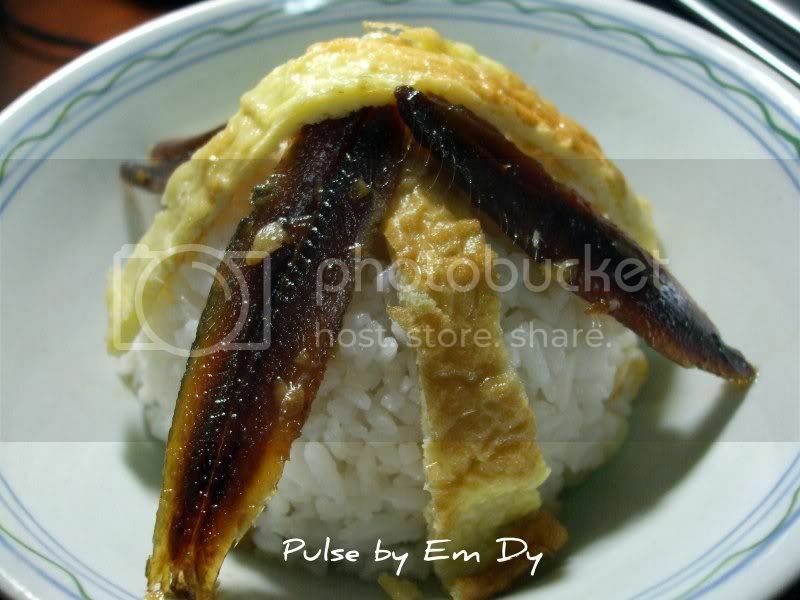 EmDy of Pulse offers a beautifully presented Pinoy Fried Rice for this challenge. Stefoodie of These thy gifts posts a veritable dissertation of puto which puts my initiate experimentations to shame with her Puto Experiments. I’ll be using he copious notes for future experiments. I think I am starting to see where mine went awry. 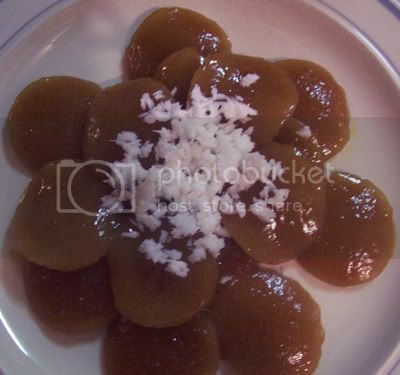 Totong Balatong, Kutsinta and Puto. Finally, Bursky of At Wit’s End challenges you to a game defining words all about rice. 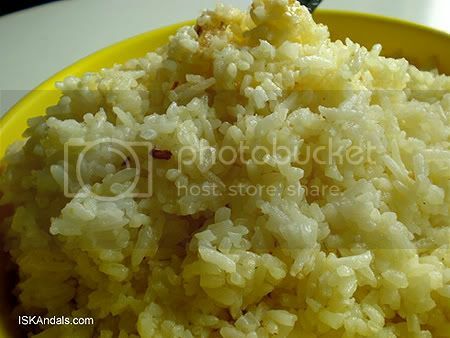 Rice is such an intricate part of the Filipino culture that we have a word for every stage and state of rice. Are you up to translating a few or adding more words to the list? Don’t forget to check back at the Lasang Pinoy portal for the next round of LP. The announcement for the theme will be announced soon by our next host, Lorraine of Super Sarap. we just came back wala internet sa cays ng bahamas… will catch up…. 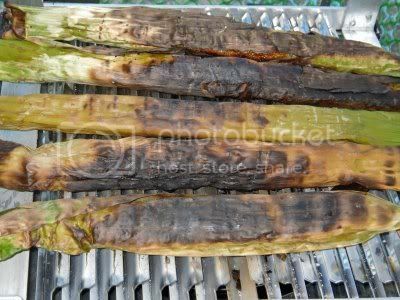 the link to Puto Experiments by stefoodie is not working for me. It is asking me to download a file instead of going to the website. heee love your password (porker)! thanks for the roundup, JMom!! 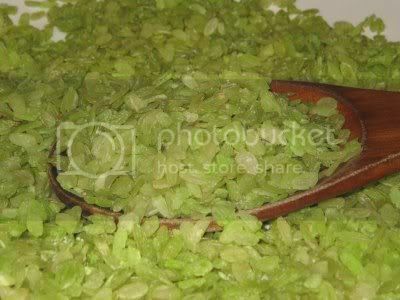 naglalaway ako tuloy ngayon ng bagoong rice. Thanks, Mike, Marvin, Kaoko and desie, and thank you for participating in this round of Lasang Pinoy. Kaoko, no problem, there’s always next time 😉 I’m still recovering from the holidays, so I know. lol! Desie, sorry I didn’t get your email. It might still be sitting in my inbox, I’ve been kind of out of it since the holidays too 🙂 I’ve added your valenciana to the round up and will probably keep this post on top for a couple of days before I post something else. Thanks so much for coming through even with late notice. I really appreciate it. not sure if you got my email but i put in an entry after i got your comment on my blog. Fantastic! Such great entries, can’t wait to blog hop. I’m seeing so many interesting entries already. My apologies though, since I wasn’t able to participate, especially after committing to it. The holidays got the best of me. Great job with the roundup JMom! Thanks for hosting! Thanks for hosting and a great round-up, JMom!